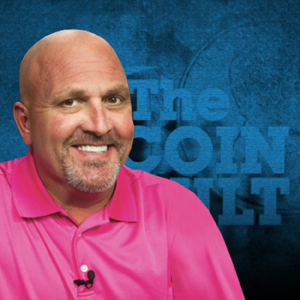 For over 25 years, Robert hosted The Coin Vault bringing collectors and numismatists the opportunity to own some of the world's finest rare coins. Like many collectors, Robert's interest in collectibles began at an early age and his passion became his profession in 1988, when he took a chance on an audition on Shop at Home. He screen tested on Wednesday, was hired Thursday, and on the air by Friday. As the old saying goes, the rest is history. Robert delivered over $1,000,000,000 in collectible coins to collectors throughout the United States. His motto was: Describe exactly what the item is, be precise about the grade or condition, and deliver it in the timeliest fashion. Robert leaves behind his wife, Whitney Smith, and his two children; son Alex and daughter Arin.